So you've decided to invest in real estate--congratulations!--but now you need to know how you can best manage your property and maximize your profit. How much should you spend on renovations? Where will you find responsible tenants? And how can you keep on top of new government regulations? The Unofficial Guide? to Managing Rental Property answers these questions and many more, giving you insider guidance and valuable tips on managing and profiting from your investments. You'll find savvy advice on everything from legally setting rental criteria and managing properties part-time to successfully evicting delinquent tenants and collecting damages. This comprehensive, easy-to-follow guide reveals what other sources can't or won't, presenting unbiased recommendations to help you get the most out of your investments--and enjoy them! 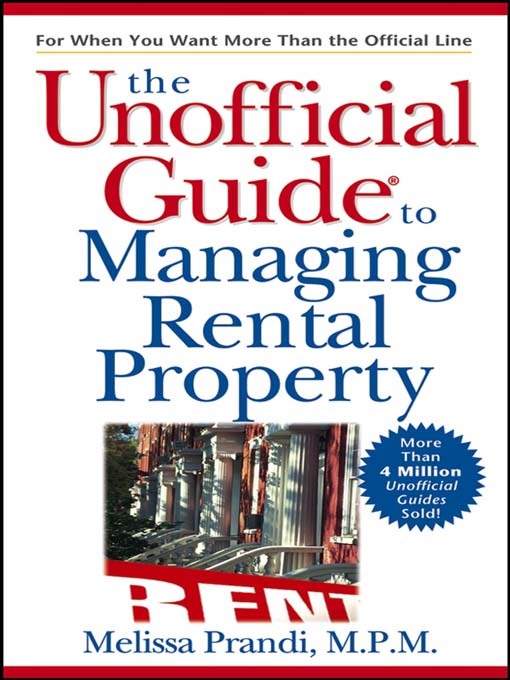 Vital Information on finding and financing great rental property and calculating rent and profit. Insider Secrets on selecting and retaining good tenants, ensuring on-time rent, and collecting late rent. Money-Saving Tips for rehabbing a property and obtaining good tax advice. The Latest Trends in writing legal, effective ads and interviewing and screening applicants to avoid potential problems. Handy Forms and Letters for contracting new tenants and communicating with current occupants.